I was born in Toronto, Ontario and moved as a 6 year old to the then town of Westphal (now the city of Dartmouth), Nova Scotia. I now refer to myself as a “Land-locked Bluenoser”. Ted was born in Port Arthur (now Thunder Bay), and eventually moved to Calgary, Alberta. He considers himself to be a Westener. We met briefly in 1972 just before I moved to London, England (where I lived and worked for about 1½ years. I.loved.my.time.there)! During that time Ted rented my room from my parents while he was back in school and got to know – and love – my parents. I returned home in 1974 and saw him off and on. It was not love at first sight! Took awhile before we were even ‘just good friends’. 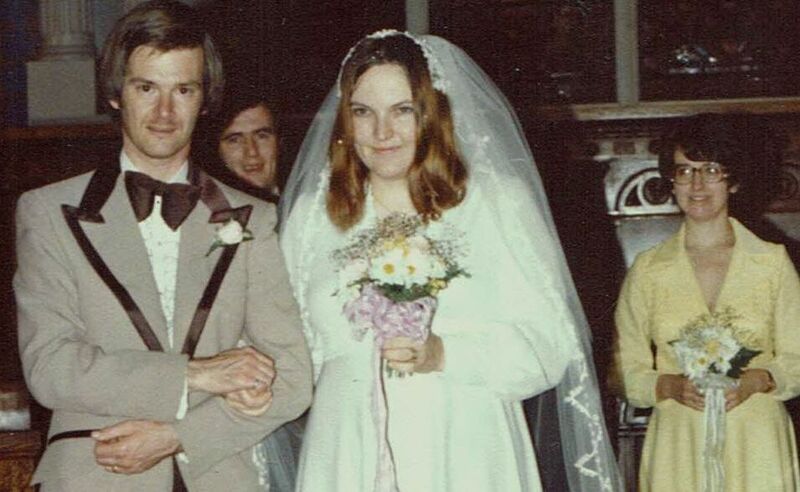 In May of 1975 we were engaged and 14 months and 1 day later, on July 2nd in 1976 we were married at St. Paul’s Anglican Church in Halifax, Nova Scotia. Ted was ordained a pastor in one of Canada’s largest denominations in May of 1975, and his first placement was in Happy Valley, Labrador (now Happy Valley-Goose Bay). There he, with his colleague, had 6 different congregations! I joined him in the manse for his 2nd year there after our wedding. From there we moved to Carnduff, Saskatchewan where we lived for 4 years with Ted pastoring 3 congregations. While there we had our first 2 sons, Colin & Graham, who were born in Estevan. In 1981 we moved to Porcupine, Ontario where he pastored 2 congregations for 8 years. While here, which was 1½ hour drive from my parents, our last two sons, Adrian & Eric, were born in Kirkland Lake. In 1989 Ted returned to his first career of Electrical Engineering and we eventually purchased our first home in 1990 – 14 years after we were married. Ted semi-retired in May of 2015, now working on contract his original Timmins boss. In his ‘spare time’ (yeah right lol) he is the secretary for the board of our local Cochrane-Temiskaming Youth for Christ chapter. On 2015 March 24 he posted the City of Timmins Work Permit in the window. He was busy with this project – doing the wiring and acting as years as ‘foreman’ while the building underwent major renovations. On 2018 October 02 we received occupancy permission. That is 3 years, 6 months, and 9 days later. 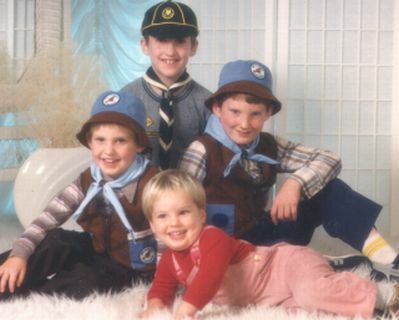 I am a stay-at-home Mom and, with 4 boys, you can believe I was busy. Fundraising (lots of that! ), volunteering (something that continues on today), taxi to Beavers, Cubs, Scouts, Venturers, Rovers, camps, T-Ball … you get the picture. Now that I am a grandmother I cannot believe how quickly those years with them at home have disappeared. I would do the odd job from home including lots of babysitting the neighbourhood kids. (One PD Day I had 12 kids, counting my 4 boys, for the day! And over half of the kids’ names started with J.) I was the go-to Mom for the school’s “in case of emergency call’! I also worked as a District Returning Officer for various Federal & Provincial & Municipal Elections, Matron with the Timmins Police Force, and a few other odd jobs. I continue to sing in a community volunteer choir. In the early 1980’s it started out as the Timmins Choral Society and in the early 2000’s is became the Timmins Symphony Chorus, performing with the Timmins Symphony Orchestra. This year I also joined the Timmins Concert Singers so have 2 Christmas and 2 Spring concerts to look forward to. In 1997 a friend from my high school days introduced me to Mannatech. What got him very excited was the science that was already published on the subject of glycobiology. At this point in our lives Ted had been unemployed for 5 years so Allan thought maybe we might be interested in doing this as a home business. Although we did not know much about Direct Sales we agreed to be Associates but were basically Preferred Consumers. (In those days the product for Associates was less expensive.) But it didn’t take long for us to notice a change in our lives — especially for my husband. So, over the years, we’ve told our story and many have joined our team as either Asspcoate or Preferred Customers. 1. seeing the changes in our overall health with publish science backing what we can say. 2. the profits from our purchases make a difference in children’s lives. 3. being able to earn an income to help us seniors stay in our own home. Our MOTTO says it all: Helping you help us help others and yourself at the same time. It is not all about me/us. It isn’t just about earning an income or improving our quality of life. It is also about helping others have HOPE and saving children’s lives.